>If you were to poll a cross section of Orchestral Manoeuvres in the Dark fans asking them to rank their twelve studio albums in order of favourite, it’s highly likely that 1993’s Liberator is going to rank somewhere in the bottom three. The second of a trio of 1990s solo Andy McCluskey albums released under the OMD name, Liberator has divided opinion since its original release almost 25 years ago. Despite featuring some moments of brilliance, many reviewers were damning with their criticism, declaring it as both “a collection of featherweight pop doodles” and “twiddly chocolate-box tosh”. In this article we look at the build-up to this album, and revisit its contents track-by-track. By the time the Sugar Tax tour had ended in November 1991, the live band – which comprised Nigel Ipinson, Phil Coxon and Abe Juckes – had performed over sixty shows in Europe and the USA, including a handful of support slots for Simple Minds (who they would later support in 2009 on the Graffiti Soul tour). This was in addition to a slew of other promotional work in support of the album and its four attendant singles, including two huge Top Ten hits in ‘Sailing On The Seven Seas’ and ‘Pandora’s Box’. And, with a TV soundtrack (BBC’s For The Greater Good) to add to McCluskey’s impressive CV, OMD’s profile had not been as high since the early 1980s. Production and programming duties were handled by McCluskey and Phil Coxon, the pair having become acquainted during the recording of the Sugar Tax album at the Pink Museum recording studio in Liverpool. Coxon had done some engineering work on the album and was talked into playing keyboards on the ensuing tour by McCluskey. Crucially, Coxon had also proven himself as a capable remixer, producing several uncredited mixes of ‘Sailing On The Seven Seas’ for the American market. Confident of a repeat-success of Sugar Tax, Virgin Records invested fairly heavily in the promotion of Liberator, bankrolling two expensive videos for ‘Stand Above Me’ (filmed on location in New York) and the green-screened ‘Dream Of Me (Based On Love’s Theme)’. A large number of promotional box sets were also issued – these included a biography, 4-track audio cassette and From Factory to Liberty, a VHS video that featured a short history of the band and a documentary of the New York video shoot. As for the sleeve, the story behind this is an article in itself, with Virgin deeming the original design too risqué. Its vibrant replacement, featuring a collage of images of a Cherokee Native American, also incorporated a new OMD logo, which erased a quarter of the typeface. HMV and Menzies declared Liberator their ‘Album of the Week’, while Tower Records, Virgin Megastore, Our Price, Woolworths, WH Smith all displayed the album in their windows – over a hundred independent retailers also featured the album prominently in store. 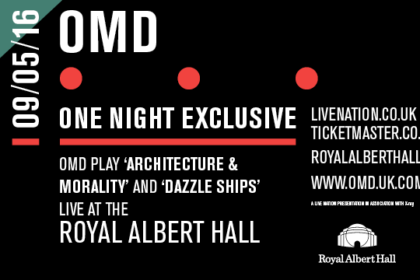 In addition, Capital Radio ran an OMD weekend shortly after the album’s slightly delayed release in mid-June. Following some criticism about the Sugar Tax booklet, McCluskey consented to his lyrics being printed inside Liberator, but insisted that they weren’t presented in the conventional poetry style. McCluskey was now also comfortable with his name featuring prominently, as opposed to just ‘OMD’. With his grounding in dance music, which included remixes for Liverpudlian electronic outfit Oceanic (best remembered for 1991’s ‘Insanity’), Phil Coxon was invited to produce some remixes for the new album’s lead-off single. ‘Stand Above Me’ was white-labelled first,” recalled Coxon in 1993. 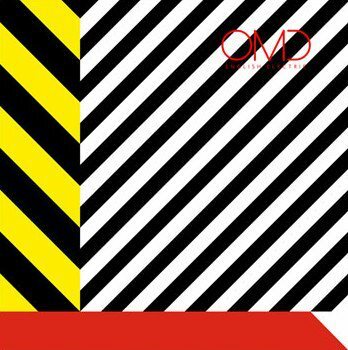 “They [the record label] thought that if a trendy, hip DJ says “what’s this record?”, picks it up and it’s got OMD on it, it’s very likely he’s going to put it back down. So it was put out as ‘Stand Above Me’ by The Liberator and it worked – it fooled them all. All the DJs were playing it all the time, even the DJs in Liverpool who got copies of it.” The label’s – and McCluskey’s – faith in Coxon was vindicated when they were rewarded with a sizeable Billboard dance hit. The problem was, the remixes bore no resemblance to the actual song and Coxon’s remixes would attract a fair amount of criticism from fans throughout the year. Backed with sparkling B-side ‘Can I Believe You?’ (which many fans favoured to the A-side), the single arrived in May 1993. Described by McCluskey as a Ronettes-meets-Status Quo mash-up, the simple 3-chord song was co-written by Stuart Kershaw and Lloyd Massett, who had both contributed significantly to the writing of Sugar Tax. It followed the same template as ‘Sailing On The Seven Seas’, with its huge drums, steady organ and throwaway lyrics. Indeed, an appearance on Top Of The Pops saw McCluskey, Coxon and Ipinson all donning guitars in a Quo-like tribute! A perfectly serviceable, but decidedly unmemorable lead-off single, it peaked at number 21 (it’s possible that it missed out on a Top 20 placing due to its lack of a second CD single). Though the band deemed the single worthy of a place in the encores of the Liberator shows, the track hasn’t aged well and was left off the two compilation albums, The OMD Singles and Messages. Arguably, one of the biggest problems with Liberator is that it’s trying too hard, and the desire to spawn hits comes through in its over-fussy and cluttered production. Somewhat tellingly, McCluskey told Vox that year: “The main thing is, I hate songs that are no good, that you can’t remember the tune of. I can’t stand boring songs, and if I wrote them I’d be really pissed off with myself. I sweat blood to write songs with tunes that you can remember.” The grammatically-incorrect ‘Everyday’ is a case in point, with its cloyingly catchy melody that called to mind the Sega and Nintendo platform games of the early 1990s. It had actually started life as a middle-of-the-road ballad – which McCluskey had co-written with Paul Humphreys in 1987 – and some fans maintained it should have stayed in the vaults. The accompanying video was a relatively low-budget affair that incorporated footage from a warm-up gig at Liverpool’s Royal Court Theatre. The single flopped, peaking at a lowly number 59, and is perhaps best remembered for its haunting, ethereal B-side, ‘Every Time’. 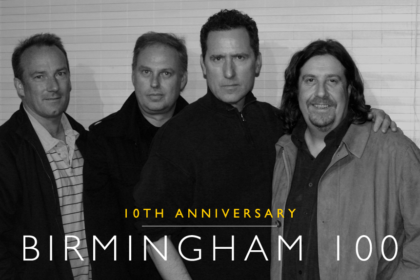 One of OMD’s great strengths over the years has been their ability to craft a beautiful melodic song using the bare minimum of chords – ‘King Of Stone’ certainly falls into this category. This simple two-chord song was one of the album’s highlights, with McCluskey cleverly switching from first to third person in the lyrics: “Once again, he’s all alone/ Here am I, the king of stone”. What lets it down slightly is the production, featuring a booming percussive loop and irritating handclaps. Boasting a huge chorus that threatened to morph into ‘Unchained Melody’, ‘Dollar Girl’ had been inspired by an article that McCluskey had read about Russian prostitutes dealing only in American dollars. With its sequencer-heavy production and a well-used Korg M1 providing the choral effects, this one-time single contender became a favourite with the fans who favoured tracks such as ‘Speed Of Light’ and ‘Call My Name’ from the Sugar Tax album. Interestingly, the original ‘Love Theme’ sample was used on the album version of the song (with White collecting a sizeable portion of the songwriting royalties), but erased from the Single version. 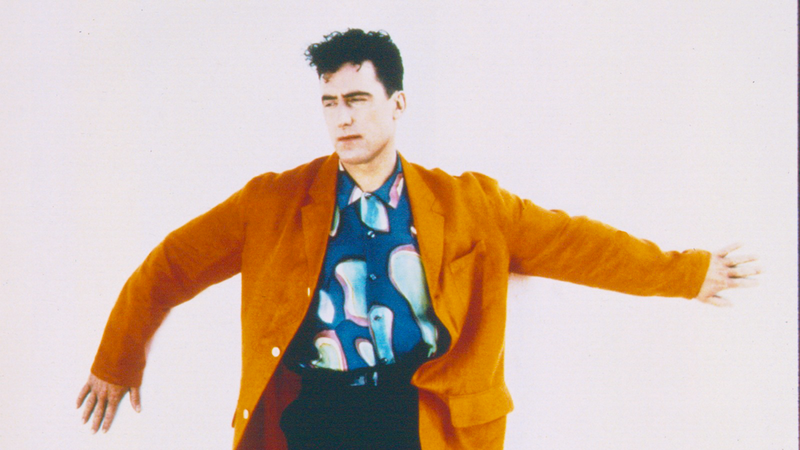 McCluskey reflected to Future Music magazine in 1993: “Even after 15 years in the music business, I’m finding new ways to get screwed by people.” As a condition for the use of ‘Love Theme’, White was unfairly listed as sole writer and producer of the track. Pedro Romahni was employed to direct the stunning video for the single. Romahni was a well experienced director who had helmed several videos for artists such as The Beautiful South, The Sugarcubes and Paul Weller. McCluskey had been particularly impressed with the video for Dina Carroll’s 1992 single ‘Ain’t No Man’, which combined meticulous choreography with clever camera trickery to create an animation-like effect. Representing something of a departure from OMD’s traditional sound, the well-crafted single peaked at a disappointing number 24. There was an array of formats, which included two largely forgettable non-album tracks (‘Strange Sensations’ and ‘The Place You Fear The Most’). To some, the appearance of ‘Sunday Morning’ on Liberator suggested that McCluskey was short on material. However, in the 1990s it was seemingly quite fashionable to cover songs by both Lou Reed and The Velvet Underground, with the likes of Duran Duran, U2, Nirvana, Billy Idol and the much-missed Kirsty MacColl all having a crack. 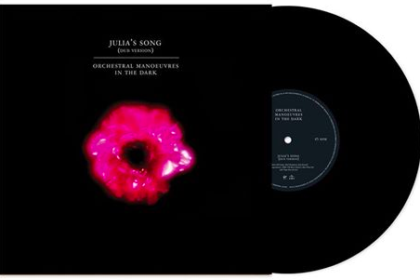 OMD were not averse to the odd cover version themselves (see ‘Telstar’, ‘The More I See You’, ‘Neon Lights’, etc) and had of course already covered the arthouse rockers’ seminal tale of a New York drug deal, ‘I’m Waiting For The Man’, on the 10″ B-side of ‘Messages’. Nigel Ipinson’s straight, but unremarkable, glockenspiel arrangement was faithful to the original 1967 single, while the guitar solo was provided by Stuart Boyle (who’d also played on Sugar Tax). 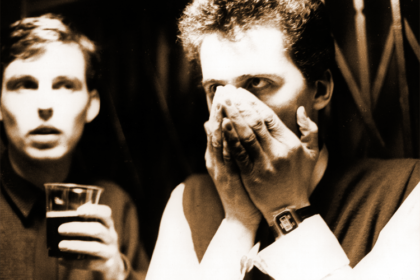 Phil Coxon recalled that the original demo was quite different to the album version: “He [McCluskey] was worried about it being too fast, and I think the culprits for putting that fear into his head were the record company advisors from the dance department who seemed concerned that really fast rave was out now.” Indeed, by the time of the album’s release, ‘rave’ music was becoming increasingly out of fashion, with discerning dance record buyers favouring the ‘Eurodance’ sub-genre (see Snap, Culture Beat, Haddaway, et al). Ten years after it was debuted during a short tour in September 1983 (supported by Howard Jones), ‘Heaven Is’ finally made it on to an OMD album. The original version (as documented on live bootlegs and 2015’s Junk Culture reissue) was a ‘Blue Monday’-inspired LinnDrum-heavy experiment, with McCluskey reeling off a list of things that made him tick. 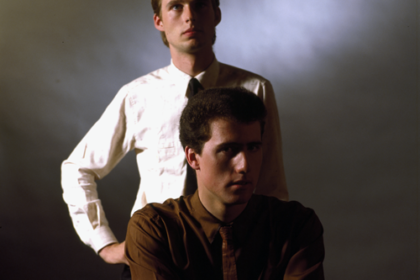 Much-fabled amongst OMD fans during the mid-1980s, the track was considered for inclusion on both Crush and The Pacific Age. The new version featured some lyrical tweaks, with adult film actress Christy Canyon replacing former BBC presenter Selina Scott as the object of his affections. Disappointingly, it lacked the original’s charm – over produced and permeated with more dated ‘rave’ stabs, ‘Heaven Is’ was something of an anti-climax. One particular idea stemming from this partnership was ‘Best Years Of Our Lives’, one of the best tracks on the album and a firm favourite amongst fans. This slow melancholic number featured one of McCluskey’s finest vocal performances, and its appearance on a 4-track sampler cassette suggested that it was considered for single release. Sadly, this never materialised, and the song was performed just once in concert at the Royal Court Theatre in Liverpool, August 1993. Another track co-written with Stuart Kershaw – and originally written for Sugar Tax – ‘Christine’ was, arguably, the album’s masterpiece, with McCluskey utilising a fictitious narrative about a suicidal New Yorker who has resorted to stripping to make ends meet. The genius of the track lies not just in its beautifully vivid lyrics, but also in the way in which the production complements the tension of the song. A hip-hop-style drum loop evokes images of the Manhattan streets, while the strings heighten the increasing drama as the doomed protagonist enters the water and floats into the darkness of the Hudson river. It’s pretty bleak stuff, but classic OMD. After the superb ‘Christine’, the album somewhat limped over the finishing line with the disappointing closer ‘Only Tears’. McCluskey described the song, thus: “I guess it’s just about sadness at the end of a relationship and how you should be dealing with it.” With the line “When you lose someone you depend on” featuring in the lyrics, some fans often compared the song to Eurythmics’ 1986 hit ‘When Tomorrow Comes’. With McCluskey and Coxon pulling the songs in different directions, it would be very easy to point the fingers at the producers. However, the main problem with Liberator is that the songs – on the whole – simply weren’t good enough. There were two notable tracks that almost made it on to the album: ‘Kiss Of Death’ was a ballad that sources close to the band raved about, and there was ‘Twins’ which had been inspired by a Life magazine article about a girl who died in a circus fire in 1946. It’s difficult to speculate whether these songs would have improved the album – McCluskey declared that they were too good to be B-sides. One other song that could have improved Liberator was ‘Kissing The Machine’, an excellent collaboration with Karl Bartos, but this ended up on the former Kraftwerk legend’s album Esperanto (and, 20 years later, on English Electric). 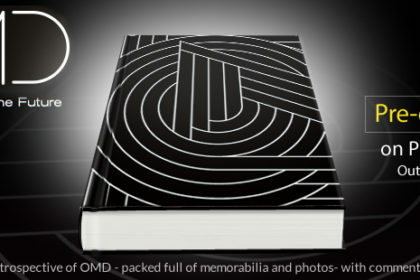 The experience proved to be something of a learning curve for McCluskey, who would spend three years crafting Universal; a far superior album, but one that would ultimately close the book on this particular stage of OMD’s history. This article originally appeared on The Electricity Club.